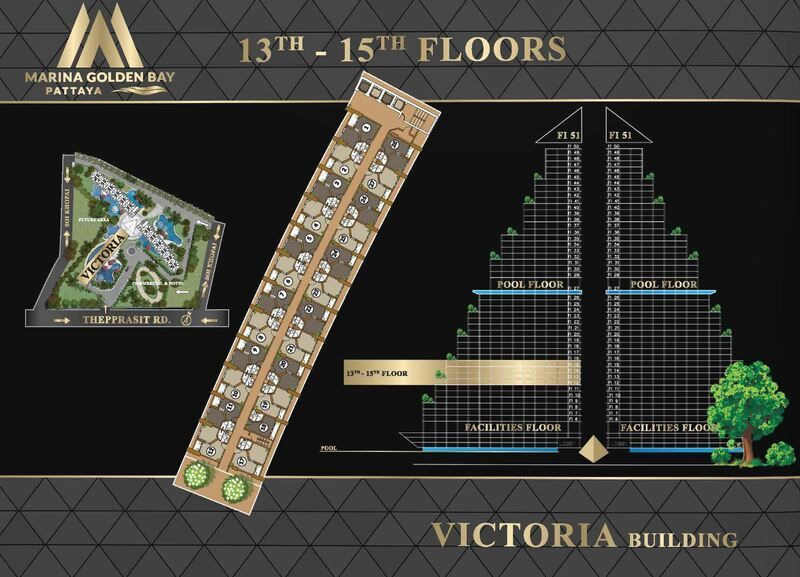 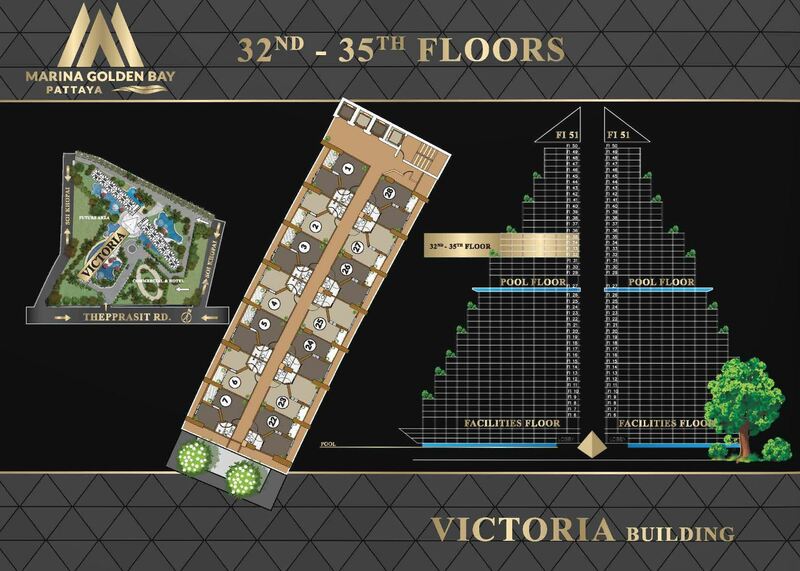 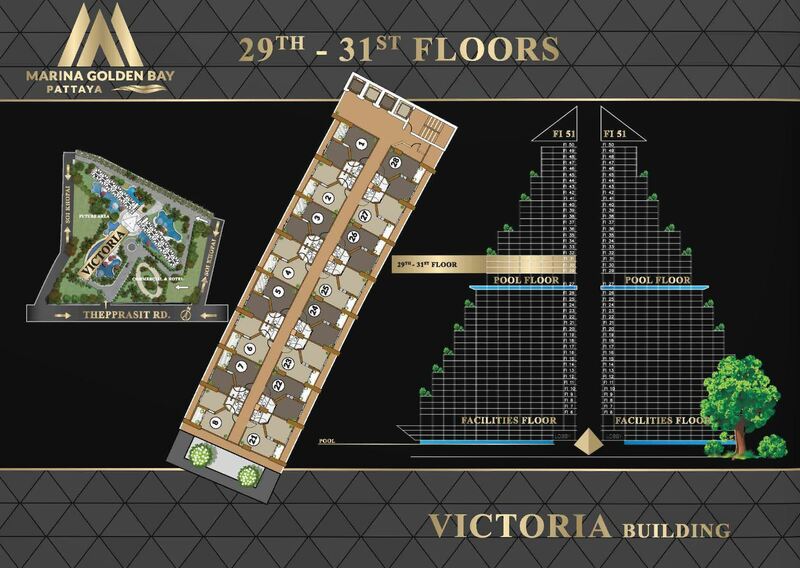 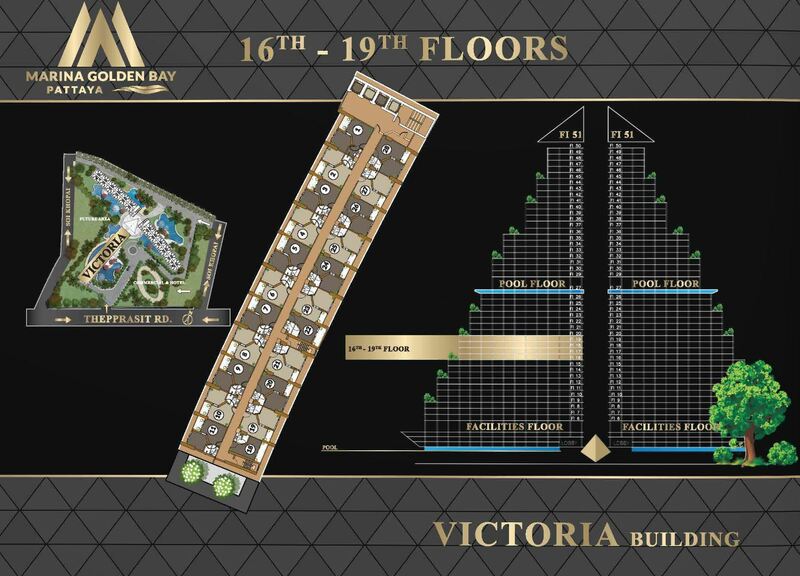 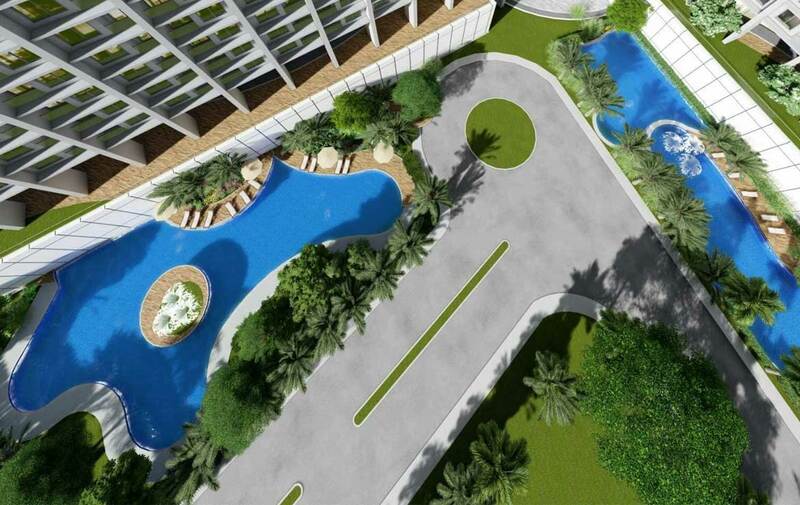 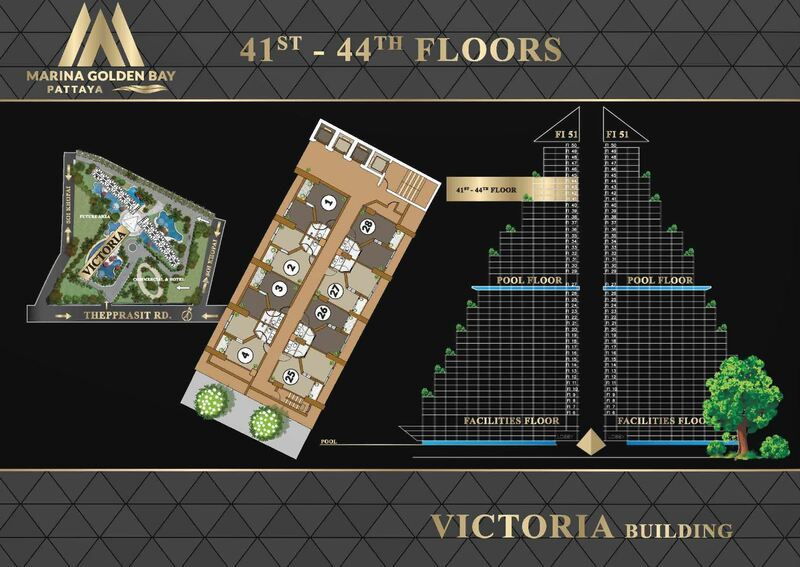 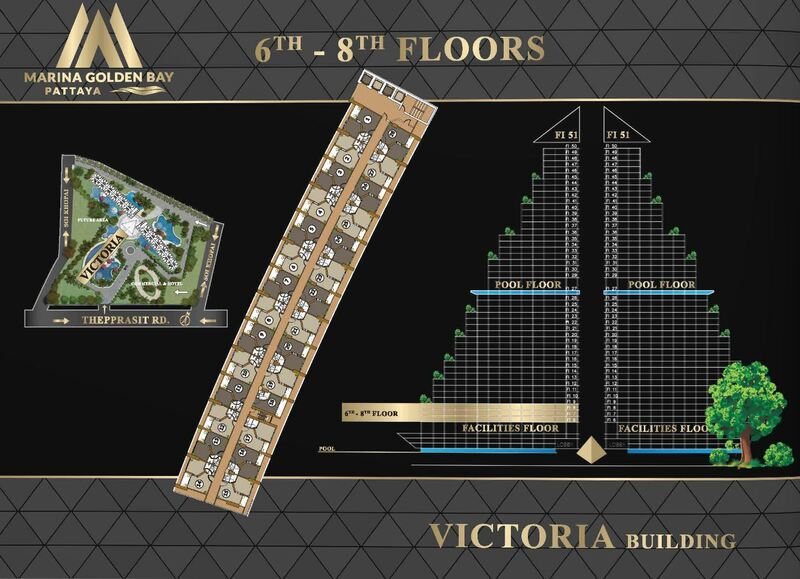 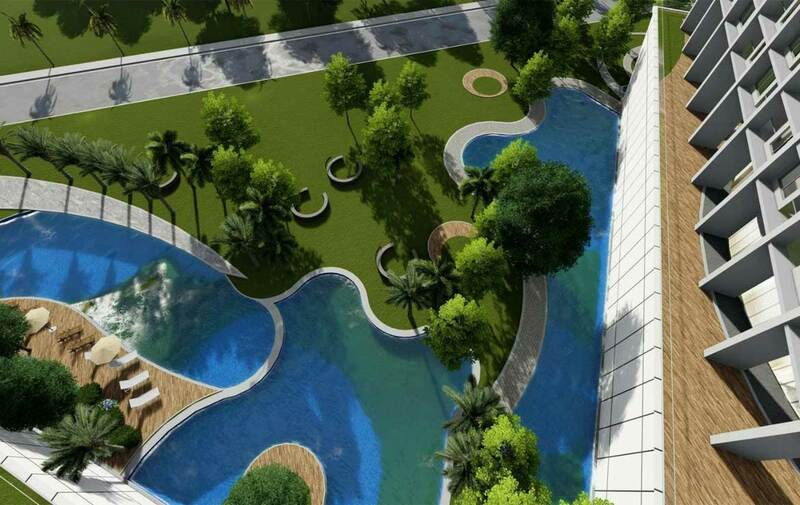 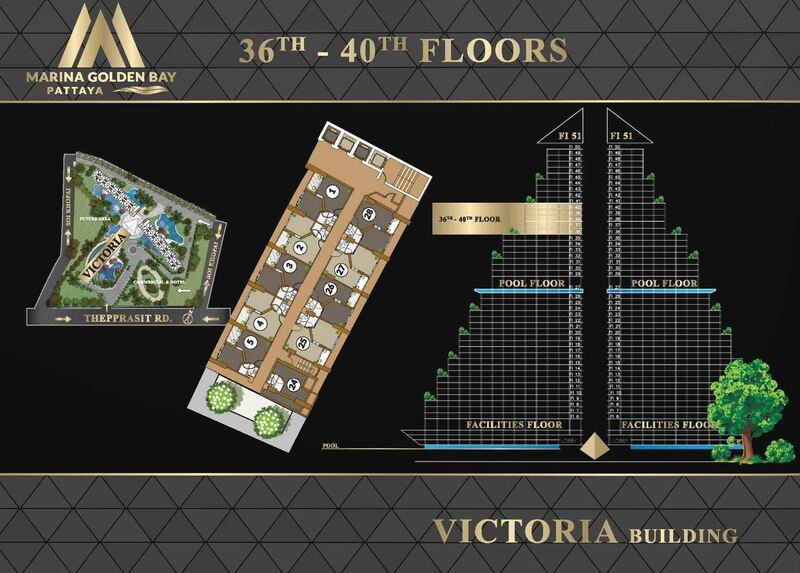 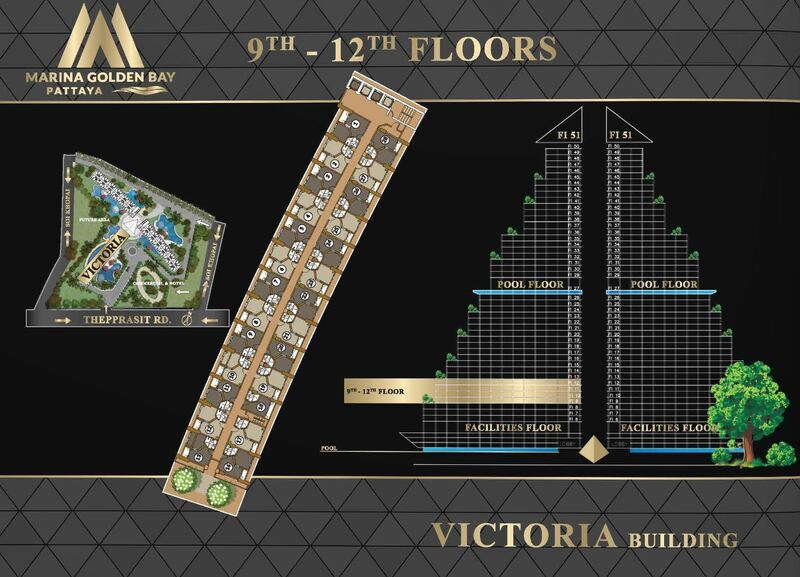 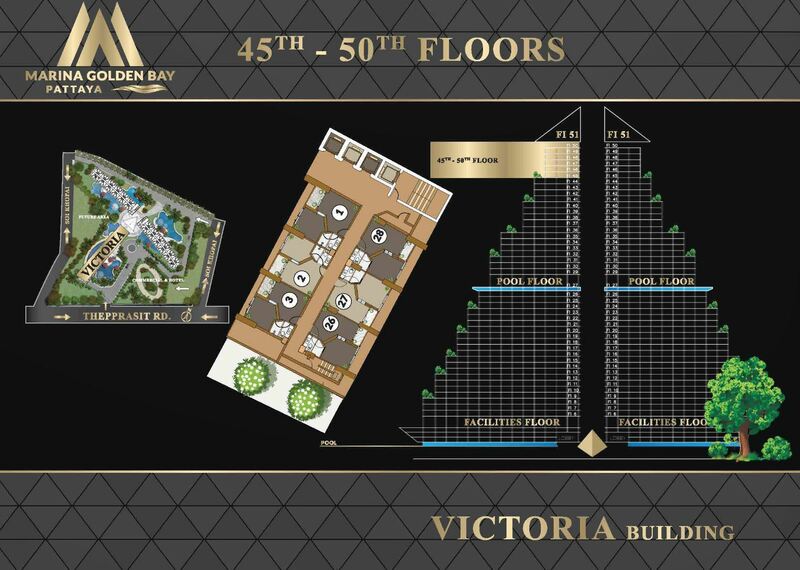 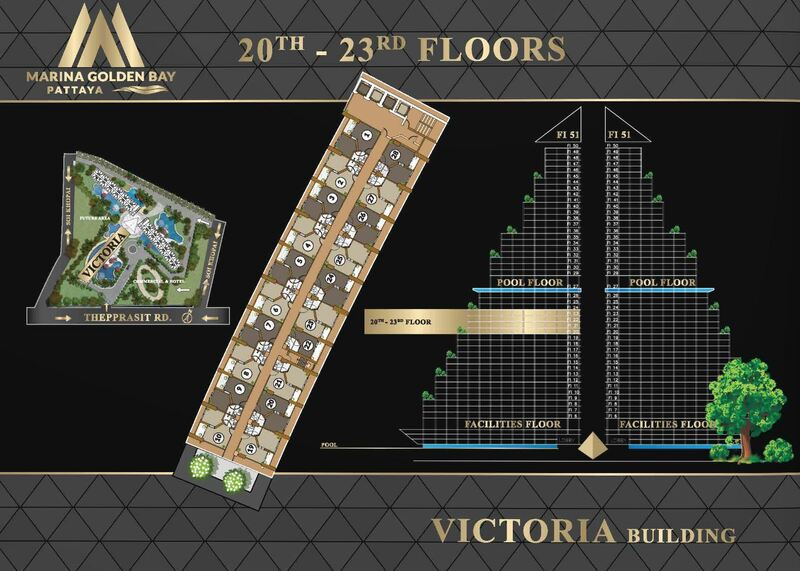 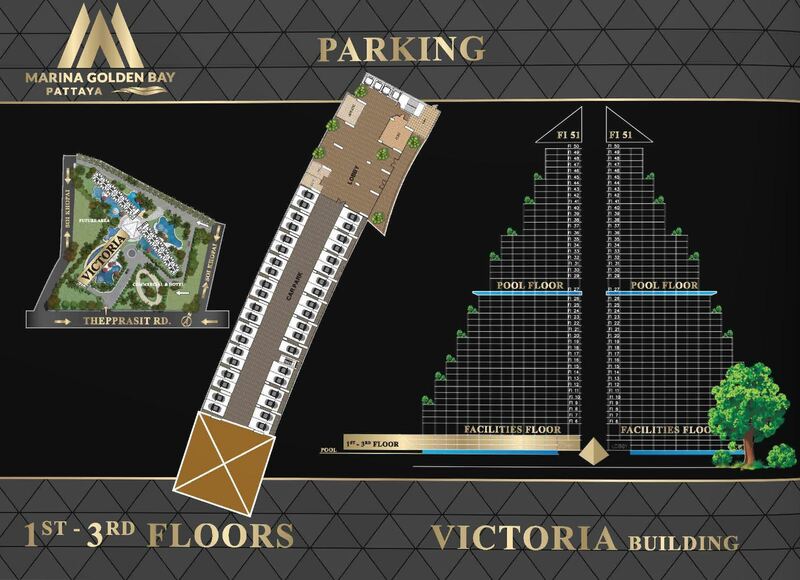 Marina Golden Bay is a new project on a 15 Rai – 24,000 sq.m – land in Prime location in South Pattaya. 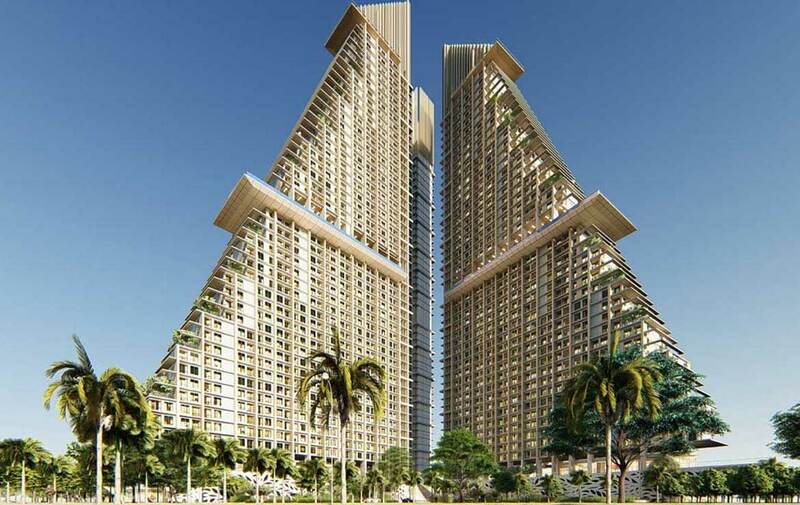 It comprises of 3 High-rise 51-storey buildings with beautiful sea view units and UNIQUE, Luxury design. 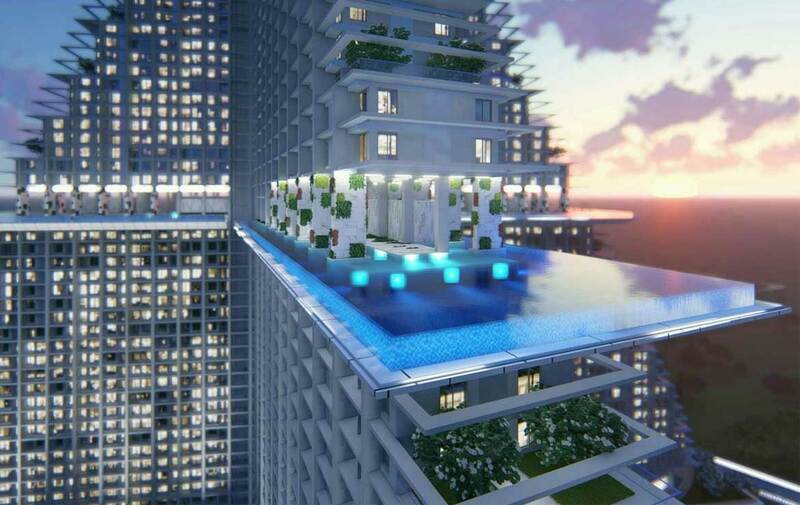 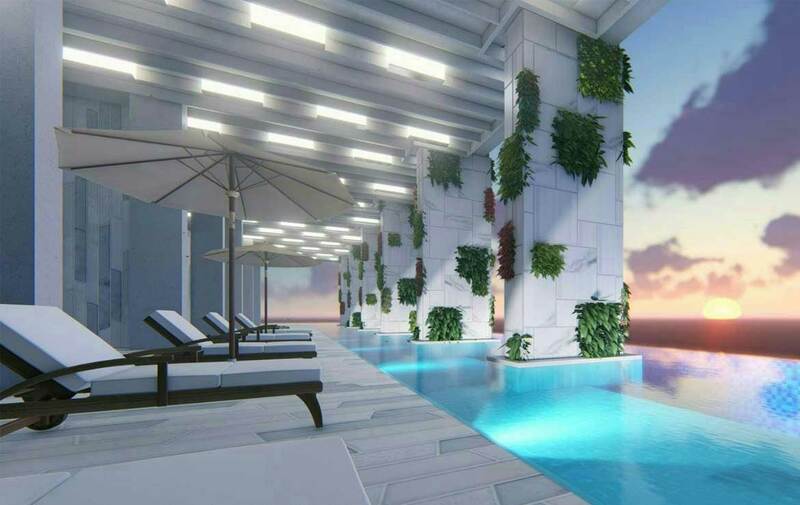 Sky pools on high floors – 27 – will surround the buildings, 5-star restaurant on the roof-top (51. floor) Big shopping mall – over 10,000 sq.m – on the ground floor, and more… 3 luxury architecture Design buildings with 51 floors, most of the units have a sea view. 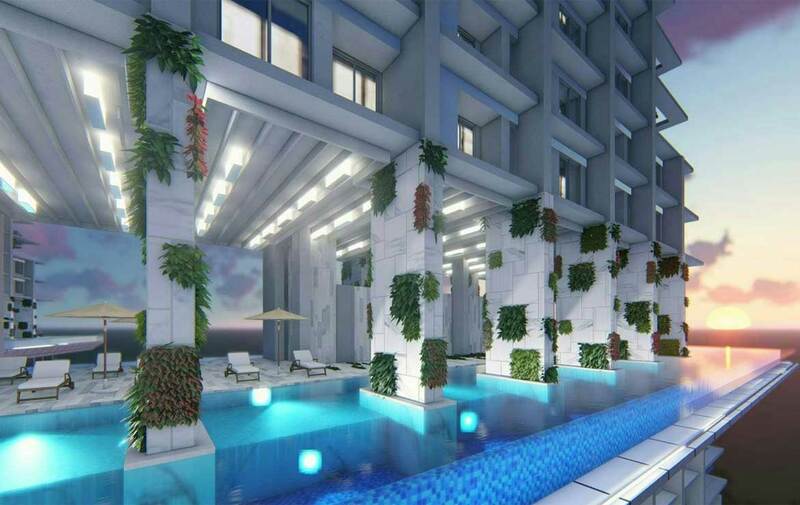 On the 27 floors, each building has a large swimming pool with fabulous ideal sea view, plus a lot of classy Pools & Gardens around the buildings on G floor and big spaces for facilities and common areas.